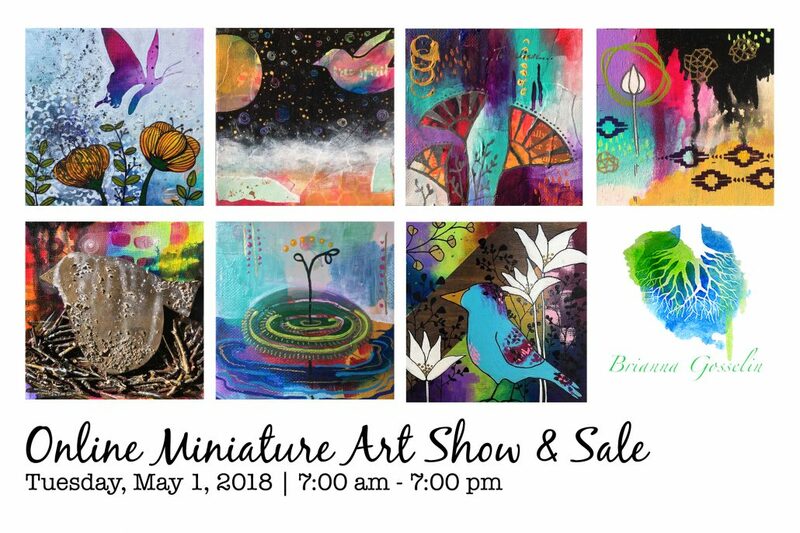 Join me for a special miniature art show and show! The best part? Not only will you be able to discover new pieces (which makes an excellent Mother’s Day gift), but you can do so anywhere! That’s right! You can join in on this colourful show and sale in the comfort of your own home, on your phone, at the office or even on a coffee break. All pieces will be uploaded to my facebook event prior to 7:00 am on Tuesday, May 1. It will be based on a first come, first serve basis. Pick up will be available the very next day (Wednesday, May 2) at The Studio. All paintings will come gift wrapped and ready to go. Paintings are also available to be shipped, additional charges will be applied upon checking out. As a special thank you to everyone, for everyone who purchases a painting during this sale, you will be entered into a draw to win a $25 gift card. This gift card can be used towards purchasing art, attending a youth or adult workshop at the studio or towards a commission. Please feel free to share this event and invite your friends, I am extremely excited for this show and cannot wait to share what I have been working on. Creative Wednesday: Bloom Workshop Etsy Launches Tuesday, May 1, 2018!